It has been a busy time for our Managing Director, Martin Rodnight, over the last few weeks. A successful trip for post Arab Health meetings in the UAE, Qatar, and Oman was followed by a visit to cooler climes for meetings with some of our existing distributor partners in Sweden and Denmark. Next in line was a visit to Addis Ababa. 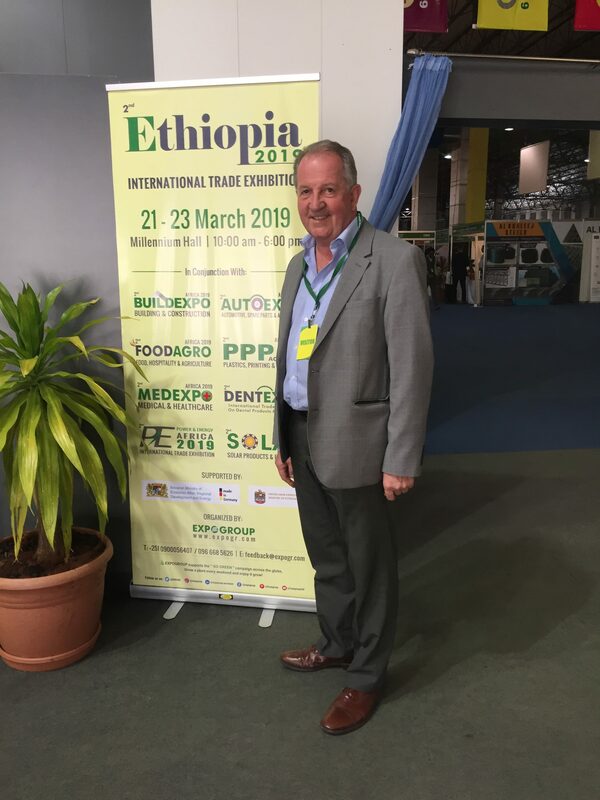 The tour started with attendance at the MedExpo exhibition for a day, and there then followed a series of meetings with distributors. There’s some good business to be had in Ethiopia these days, with many government tenders up for grabs. Good meetings were held with some of the better distributors. We now have ongoing discussions with companies wishing to represent the Delta Medical range of neonatal products, Firefly wireless cameras, and Istanbul Medikal patient warming systems.